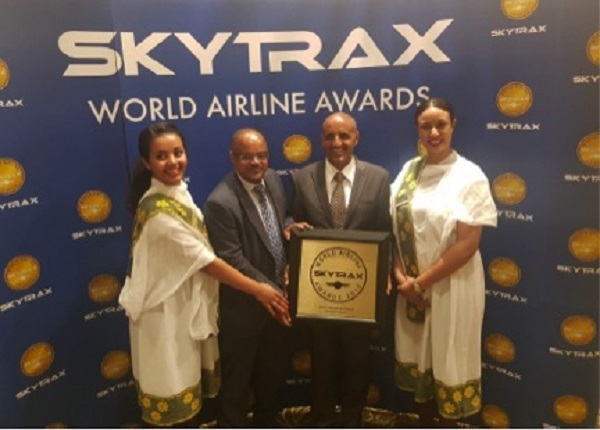 Ethiopian Airlines, the largest Aviation Group in Africa and SKYTRAX certified Four Star Global Airline, is pleased to announce that it has won SKYTRAX World Airline Award for the Best Airline in Africa for second successive year. ALEXANDRIA, VA, July 21, 2018 /24-7PressRelease/ — Skytrax is the most respected global air transport rating organization that conducts the world’s largest annual airline passenger satisfaction survey where customers make their own personal choices as to which airline they consider to be the best. Group CEO Ethiopian Airlines, Mr. Tewolde GebreMariam, remarked “Ethiopian is a customer focused and market driven airline. In a context of hyper competitive global airline industry, the only way for Ethiopian to sustain its success is through its differentiated service delivery and by meeting its customers’ expectations. We are, therefore, honored and delighted to have been named the Best Airline in Africa at SKYTRAX World Airline Awards as voted by passengers and we will not relent in our continuous efforts to offer our customers the best possible travel experience.